Your seasonal, temporary headcount-demand could be satisfied fast, with low-down budget. You may order a student worker for a few days or weeks but also for months. This way you can make sure that you spend only as much as necessary on the performance of the given task. We take care of recruitment-selection, employment contracting, registration and payroll tasks. We offer full labour administration and substantial tax allowances! STUDENT WORK – What is it for? Is it worth it? Is it safe? Is it convenient? You should know the answers! The students accomplished the training requirements quickly and easily. The effectiveness rates of the students working in the cashier desk and the supermarket were equal, they often accomplished more than the full-time workforce. 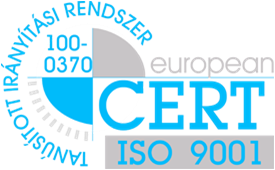 Quality assurance system: Requirements for the Msz EN lSO 9001:2001 standard are fulfilled. Our Cooperative has general, service and employment insurance up to 50-million HUF value. We update you on the news of the labor market, HR trends and discounts. With the submission of this request for a quotation, I give my consent to the recording of my data in the system of Mind-Diák Association and to the management, use and storage of my data in accordance with the data security requirements of Act CXII of 2011 on Information Self-Determination and Freedom of Information. Mind-Diák Szövetkezet © 2019. All rights reserved.